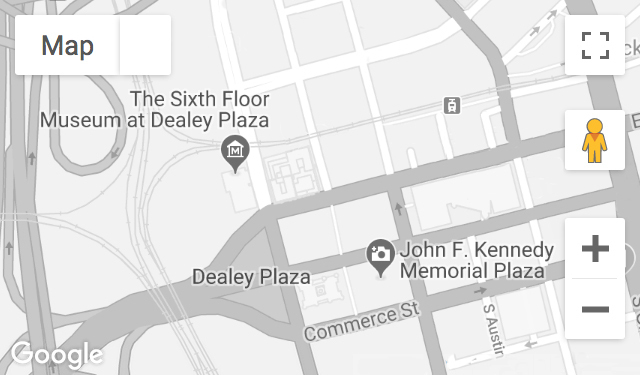 DALLAS, TX – March 8, 2017: Recognizing the continued global interest in the Kennedy assassination, The Sixth Floor Museum at Dealey Plaza is pleased to explore a wide variety of personal perspectives and present ongoing research and scholarship in an open forum for conversation and engagement. Today, the museum announces a special public program to be held on Tuesday, April 11, 2017 featuring Dr. Cyril H. Wecht. Dr. Cyril H. Wecht began researching the Kennedy assassination when he was invited to speak on the case before the 1965 meeting of the American Academy of Forensic Sciences. More than half a century later—as a renowned forensic pathologist, consultant and author—Wecht continues to lecture and give media interviews on the assassination. As a distinguished elder statesman of the assassination research community, and current chairman of the Citizens Against Political Assassinations organization, Wecht remains an outspoken critic of the Warren Commission’s conclusion that Lee Harvey Oswald acted alone. At 7 p.m. on Tuesday, April 11, 2017, the Museum will host Dr. Wecht for a program entitled “A Case for Conspiracy.” In this engaging two-part presentation, Stephen Fagin, curator at The Sixth Floor Museum, will lead Dr. Wecht in conversation on his remarkable career and longtime interest in the assassination. Wecht will then deliver a multimedia lecture on key areas of Warren Commission’s 1964 investigation, including President Kennedy’s autopsy and the controversial single bullet theory. Tickets are $15 and available in advance at jfk.org and at the Museum. Cyril H. Wecht, M.D., J.D. is a certified forensic pathologist, medical-legal and forensic science consultant, author and lecturer. A Fellow of the College of American Pathologists, the American Society of Clinical Pathologists, and the National Association of Medical Examiners, Wecht served as elected Coroner of Allegheny County, Pennsylvania, from 1970-80 and 1996-2006. A clinical and adjunct professor at multiple universities, he is chairman of the advisory board of the Cyril H. Wecht Institute of Forensic Science and Law and Duquesne University School of Law in Pittsburgh. Wecht has conducted seminars in more than fifty countries and personally performed approximately 20,000 autopsies. In addition to his work on the assassinations of President Kennedy, Senator Robert F. Kennedy, and Dr. Martin Luther King, Jr., Wecht has commented and/or consulted on a number of high-profile cases including those involving O.J. Simpson, JonBenet Ramsey, Elvis Presley, Vincent Foster, Kurt Cobain and many others. The first civilian ever given access to Kennedy assassination evidence at the National Archives, Wecht later served on the forensic pathology panel of the House Select Committee on Assassinations investigation. In 1991, he was a consultant to filmmaker Oliver Stone during the production of JFK, which was partially filmed at The Sixth Floor Museum.